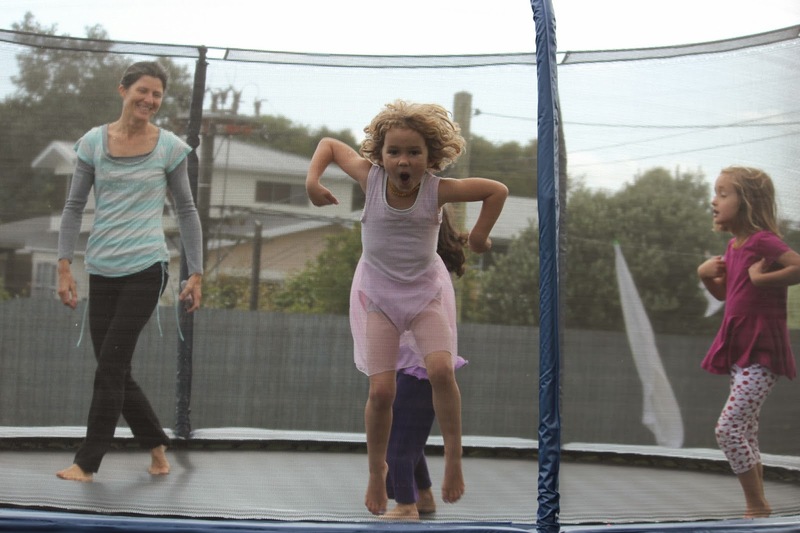 Taranaki Learners: We love trampoline creative games! It was decided, after talking with our Learning Consultants on line that we needed to have more physical time for those that needed that kind of activity. Trampoline Games become a quite the experience. Over the course of the day we called "tramp" a few times and there was at one point everyone joining in. The creativity and imagination for games was really 'exercised' here. We will make a list of all our new made up tramp games to pull out at another time. * Eggs to Birds - starting as eggs, 'being cracked' by one jumper and flying away as a local bird, local bird knowledge was voiced. Our circle was a little disjointed today, with the few children that were present we discussed the different parts of the brain and how it works. Pasta making was a big hit, each child was able to roll the pasta through the machine and enjoyed with some delicious sauce. 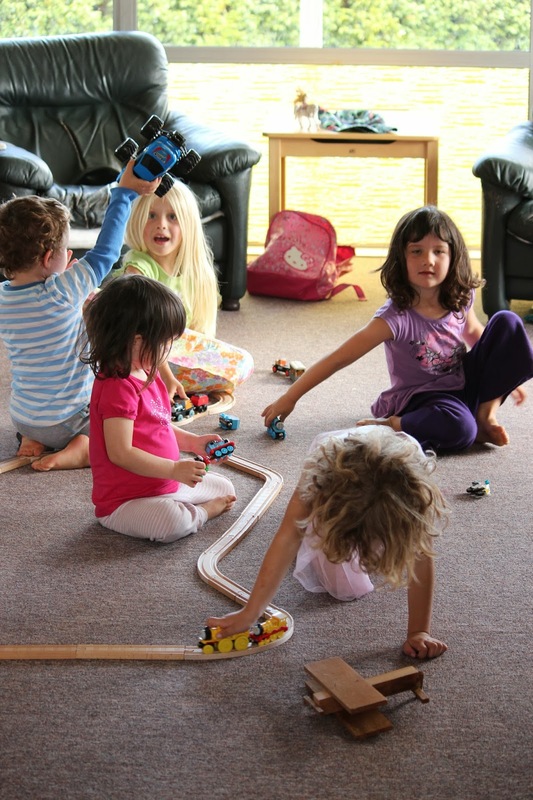 Creative communication during train play.